Bergamot essential oil is very useful as an anti-infectious agent and is effective against a wide number of microorganisms. Bergamot essential oil has been used in traditional medicine for intestinal worms and fever, respiratory infections, urinary tract infections, and skin problems. Coconut oil with a few drops of bergamot essential oil makes a wonderful chapped lip and cold sore treatment in the winter. Keep a small jar handy and apply liberally. White, Linda B. M.D. 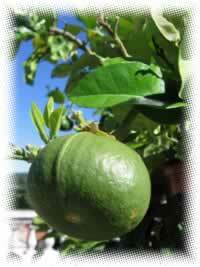 Bergamot essential oil aids digestion and can relieve symptoms of colic and gas when massaged into the abdomen. Preparation Methods & Dosage : Use the oil in massage blends, aroma lamps, and baths. Along with neroli and lavender it is one of the principal ingredients in the classic Eau-de-Cologne. Bergamot oil is cold-pressed from the peel while the fruit is green in color and nearly ripe. It has a fresh sweet citrusy aroma with a floral undertone. The uplifting note of bergamot oil is what you first notice when opening a tin of Earl Grey tea. Bergamot Side Effects: Bergamot oil has a slightly irritation effect on the skin in high concentrations, but the reverse if used in moderation (1%). Increases the skin's sensitivity to sunlight. Native to Asia, now cultivated in southern Italy and the Ivory Coast, Bergamot is a small tree that grows up to 16 feet, with fruit that looks similar to small, pear shaped oranges. Bergamot essential oil has been used since the sixteenth century, there are references to it in many of the older herbals. 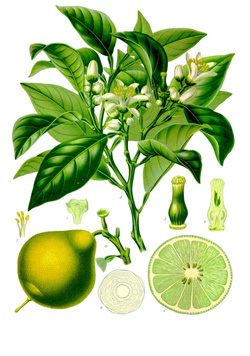 It is believed that Columbus introduced bergamot to the new world from the Canary Islands. Robert B Tisserand. 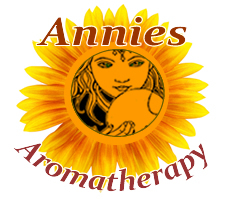 "Art of Aromatherapy,The " Healing Arts, (1977) As a nerve sedative it is valuable for depression and states of anxiety..
Marlene Ericksen. "Healing with Aromatherapy" McGraw-Hill, (2000) Bergamot is antibacterial, and effective in treatment of bladder infections and vaginitis used in a sitz bath. To treat sore throats use 3 drops of bergamot with 1/8 teaspoon salt in 1/2 cup warm water as a gargle .